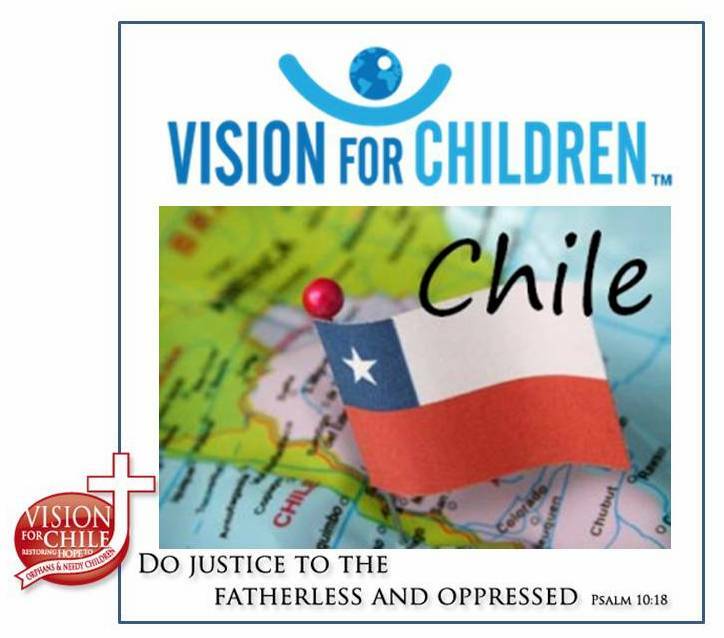 Update from the Interns of Vision For Chile. Hi, I’m Rachel from Lancaster, Pennsylvania. Hi, I’m Carrie from Akron, Ohio. And we are both interns with Vision for Chile in Santiago, Chile. For the six weeks that we have been interns here, we have gotten to be involved in several different ministries. One of which, is getting to know the girls living in Casa Esperanza, where we eat meals with them, help them in their studies, play games with them, pray with them, and sightsee with them. They’re an awesome group of young ladies who love the Lord, and it has been a blessing to get to know them. 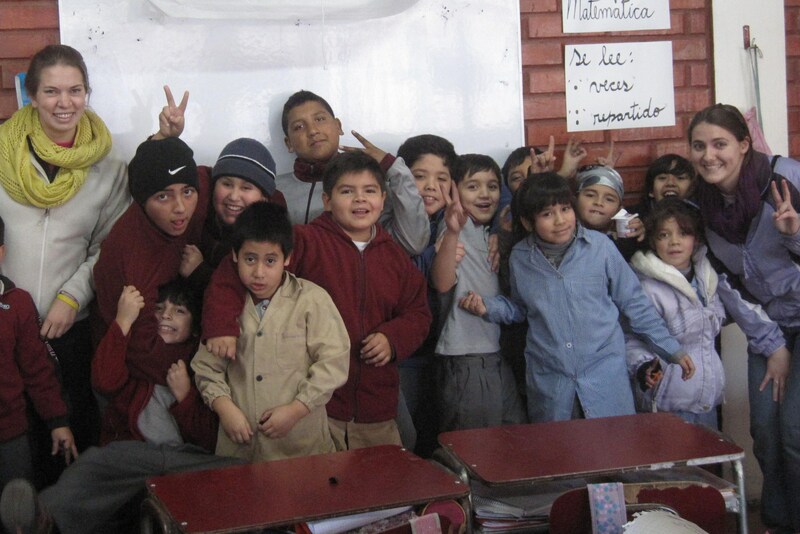 Another one of our major ministries is going to Forjadores del Futuro where we assist an English teacher, and play with the kids at recess, and have conversations with them while helping them with their English studies. Tuesday night, at prayer meeting, the church prayed for Carrie and I at one point — praying for our continual protection and that we’ll be lights for God in the school we are working at and within the community. rivers. Carrie and I walked our normal route to school. When we got to the main road, we couldn’t figure out how to cross it. We called it the “Red Sea” … except that it never parted and Moses didn’t show up. It took us about 5-10 minutes to figure out how we were going to cross the street without getting soaked up to our mid-calves. We spend all day Wednesday with Cecilia’s homeroom, the 7th grade — which have become near and dear to our hearts in a short time. We went early so that we could sit in on their religion class and see what they were doing — which happened to be Father’s day cards. On the board there was an acrostic poem about Father’s and how great they are: how they teach you respect, discipline, and love. How they are always there for you, and what not. It just confused me, because probably half of the kids in the class don’t live with their parents, and the ones that do don’t ever see their parents. Cecilia says its a very “touchy subject” at school. There were kids making gifts for the grandparents, a brother, or a friend. A few for their parents, but I don’t know when their Father’s will get the card OR if they even care. I don’t really understand who Ester will give her card to, she has 21 siblings, all from different fathers. Does she know who her Dad is? Besides this, do they know that there IS a Father who LOVES them. Do they see God like they see their earthly fathers who have failed them so much? Do they see Him as someone who will abuse them, or as someone who will cherish them and love them deeply? Who sent his son to take their place, so that they can know Him. The day just gets better, let me tell you. After religion class, we were standing outside talking to Linda (Lean.da) and I noticed on a large post a star of David with a circle around it. Underneath it was the number 666. I asked Linda what it meant and she gave me a grimaced look and pointed down to the ground and was like “bad”. I talked to my friend Felipe later on in the evening to ask him what it meant, and he said those are Satanic symbols. Jorge wears a necklace around his neck with a star of David in a circle, and Catalina was drawing these all over her paper today. We got back into class, and the kids had English class. Carrie and I were whispering in the back, while the kids had a make up quiz for English — they didn’t know any more this time than the last time they took the exact same quiz. We noticed Catalina, who was pricking her finger in the back of the room and pushing the flesh of her fingers to make blood come out. I offered her a tissue and she declined — eventually, we realized that she was trying to make herself bleed. She got enough blood on her finger and then would twitch her finger really fast to make it splatter on the wall. 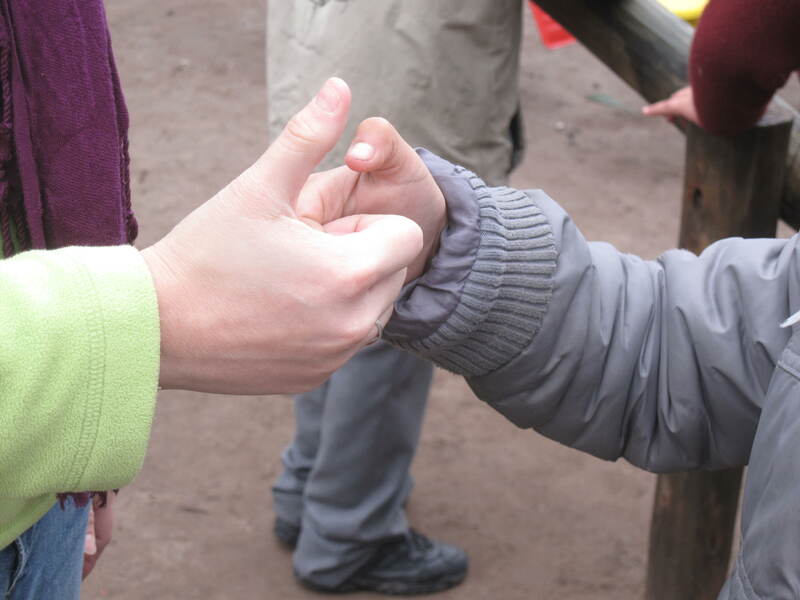 Then, she shared the broken pencil sharpener with Jorge so HE could prick his finger. He brought a drawing over to Catalina and she proceeded to paint the girl’s hair RED, with her BLOOD. The Jorge went back to his seat where he proceeded to write ‘death’ (in English) in blood on the wall. a few minutes later he added “note” (pretty sure it’s the name of a band..) Needless to say, I don’t do well with blood — and it was we weren’t quite sure what to do in the situation. Afterwards, we talked with Tía Cecilia, and she simple replied with a shrug and was like “that’s just how it goes, she just wants attention” The truth is, there isn’t much you can do. or anyone can do. I think Daniel put it best — they can get help from a psychiatrist..or counseling.. but the truth is the only thing that will change their lives is Jesus Christ. Seeing their blood today made the reality of the situation come to life a bit more to me. For me, it was like seeing their blood was like seeing their scars and hurts come to life. Carrie and I both walked back from school in a bit of a phase. We weren’t quite sure what to think. I kind of moped around confused for a while. At night, we prayed about it. I talked to a Chilean friend just for advice, because I don’t always understand the culture here. He gave a few encouraging words to Carrie and I about working at the school. Before we went to bed, we prayed about it a bit — and then I just prayed that God would show me something — or instead of having nightmares, he would speak to me through a dream – and he did. Well. in a God speaking in plain terms to Rachel kind of way. Don’t laugh. Yeah, it has to do with track. I dreamt that I was staying overnight for a track meet and was rooming with Suzette (haha, hi Suzette, if you’re reading this) and Jess D left all her stuff in our room? Sorry, side note Anyways, I got up in the morning and looked in my bag and it was completely empty. I took an empty bag to a track meet — I didn’t have anything I needed. No shoes. No spandex. No uniform. Nothing. Needless to say, I was panicking. I woke up and was like “what was that all about Lord?” I was prompted to read. yep. you guessed it. The Armor of God. This just kind of hit home this morning. Just like we should be prepared for a track meet — we need to be prepared for battle. a spiritual battle. Carrie had a really good point this morning. We were talking about all the Satanic stuff — and talked about how it isn’t about Jorge cutting himself, the blood on the walls, the need for love, the kids fighting, the kids in need of a hug. It is SO much deeper than the physical stuff we can see, there is SO much more going on behind the scenes — a battle for the soul of each kid at the school. Everyday, Carrie and I need to be in the word — we don’t have the option to shy away, because there is nothing we can do on our own strength for these kids. We need the Armor of God and for Him to fill us up each and every day — to declare fearlessly, and boldly. To make His name known.